Indoor plants are very popular, especially among those with little outside gardening space and those with limited ability to cultivate a traditional garden or flower bed. The best indoor trees and plants are those that require less sunlight than outside plants. Indoor light, temperature and humidity are things to consider when choosing appropriate indoor plants. Hawaiian umbrella trees are a type of bonsai tree. The small size of the dwarf variety makes it one of the best indoor trees. The canopy is formed by small, green, umbrella-shaped leaves. During spring and winter, the tree produces red blooms. This tree requires little light, which adds to its ability to thrive indoors. Water the soil thoroughly, until water runs out of the planter’s drain holes, every 2 to 3 days. These trees prefer wet soil, so avoid letting the soil completely dry out. Fertilize each spring and prune to maintain the preferred shape. All parts of this tree are poisonous, so it is best to keep it away from children and pets. Hawaiian umbrella trees are easy to care for and maintain. Gardenias are bushy plants with thick, deep-green, glossy foliage and fragrant white blooms. This plant can be grown outdoors, and it is also a popular indoor plant. Plant them in loose, moist soil and take care to not overwater. 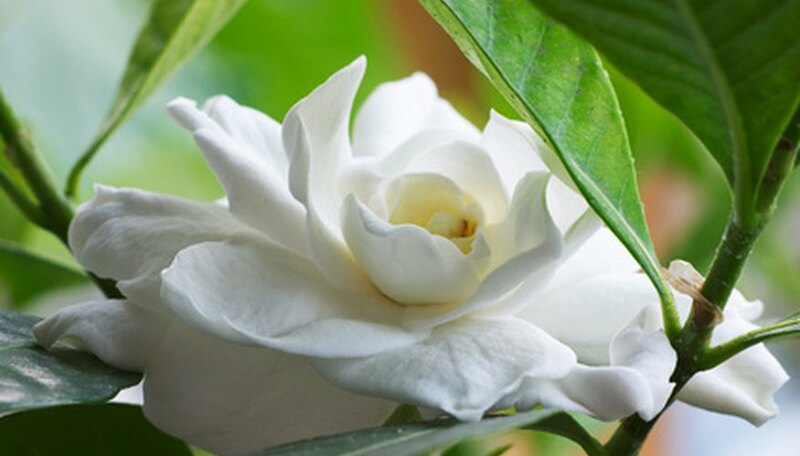 Gardenias favor humidity, so mist the foliage daily to increase the humidity around the plant. Place the plant in an area where it can receive bright, indirect sunlight. Gardenias are heavy feeders, so fertilize every 2 weeks. It may take some time for a gardenia to bloom, but this is normal. Pothos, sometimes called variegated philodendron, is popular indoors in hanging baskets. Native varieties of this plant can grow to be 40 feet tall, but the indoor varieties are small and trailing. Pothos is hardy, easygoing and virtually maintenance free, making it a perfect plant for first-time growers. Plant pothos in loam-based soil and place it in an area of partial sun. Depending on the variety, you may want to decrease or increase the amount of sunlight the plant receives. Green varieties grow well in less sunlight, and variegated varieties prefer more sun. If you notice the foliage of a variegated variety turning mostly green, move the plant to a spot where it can receive more sunlight. Water it when the soil feels dry about an inch deep, and let the soil dry out before watering again. Mist the foliage to keep the humidity up. Wipe the leaves when they become dusty. If you prefer, wipe them with vegetable oil to give them a shiny appearance. Repot pothos every other spring.